I'm gonna warn you guys now, I really wasn't kidding when I said this was going to be a long list. I maybe should have split it up into this week and next week, but I'm sure I will have lots of new stuff to share with you by then so here it is, probably my longest Monday Link List yet. 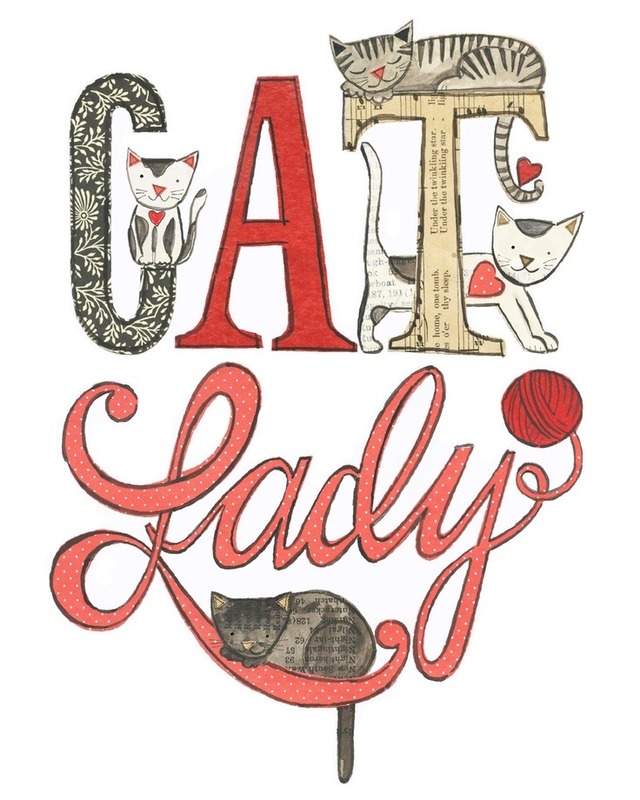 Personally I'm more of a dog person, but I can't help but appreciate how beautiful this Cat Lady print is. I can think of so many people it would be just perfect for. 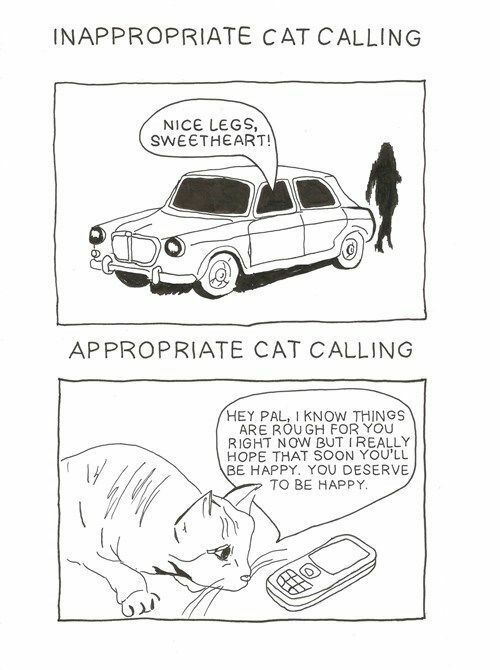 Still on the cat theme, this cartoon is completely perfect. 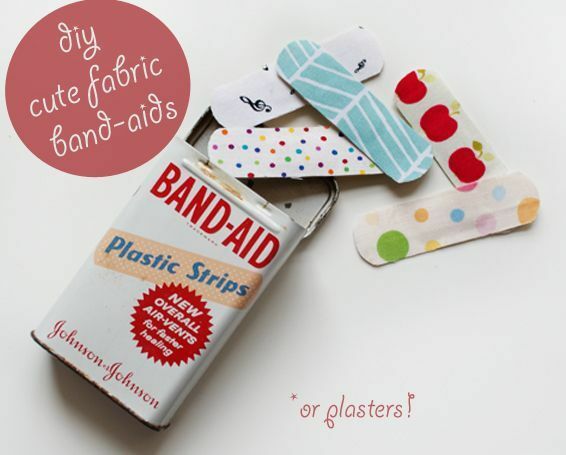 I am the most accident prone person in the world, so I love this idea for hand made fabric plasters from Vivid Please. 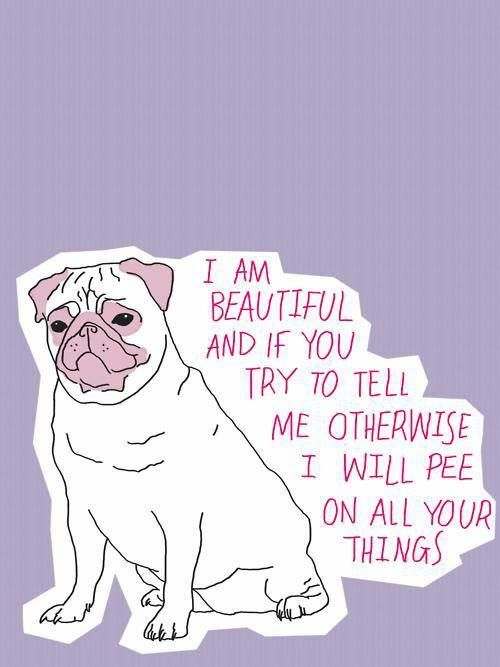 I love this piece of advice from a pug. I learn a surprising number of life lessons from dogs (particularly Scallywag's habit of barking at male dogs who are a bit too interested in her). I am getting super excited about Autumn outfits at the moment, it's definitely my favourite season style wise. I love the colours and layers. 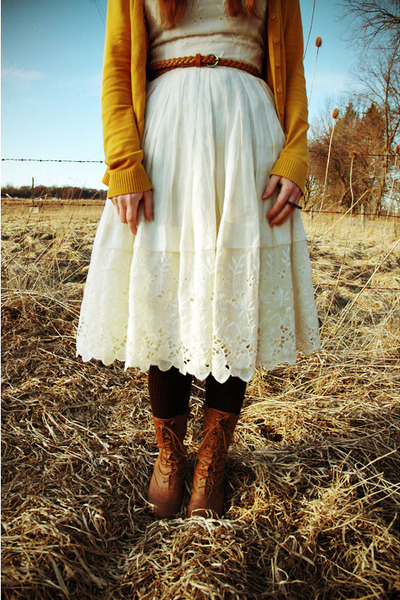 This outfit from Ron at Dresses on a Clothesline looks the perfect mix of cosy and adorable. 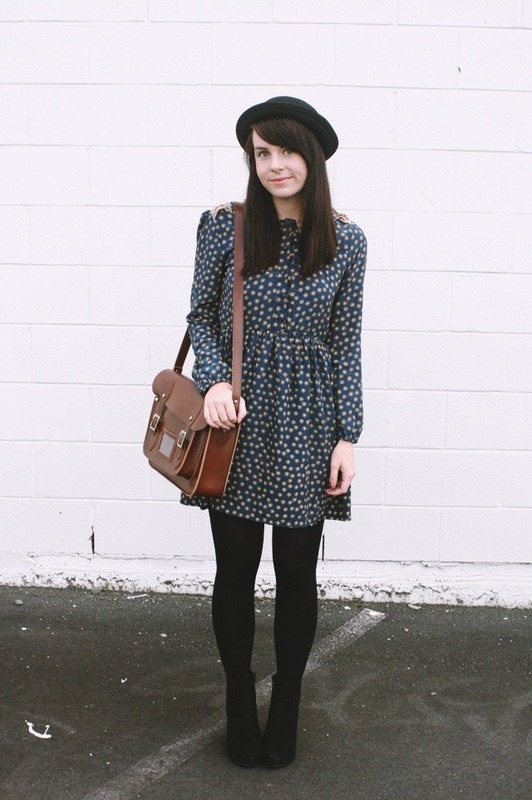 Ditto on this amazing outfit from Amanda at Here Comes The Sun. It makes me want all the hats. 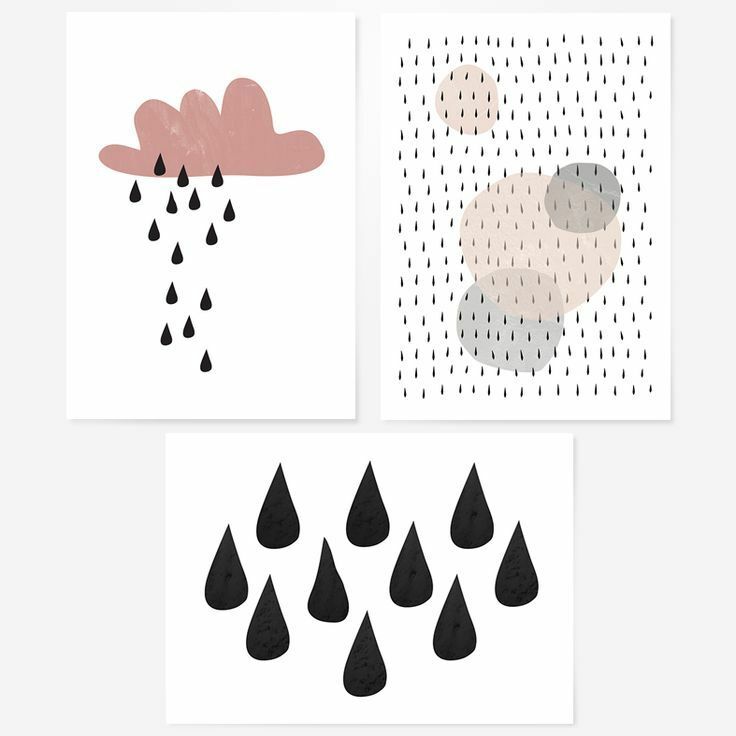 I kind of want this Rain Me Happy set of cards from Floor Number Four just to keep myself, the colours are lovely. 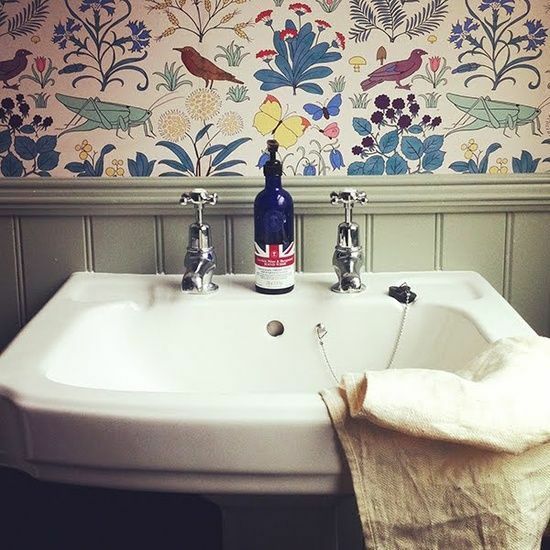 I love this use of wallpaper in a bathroom, so much fun! 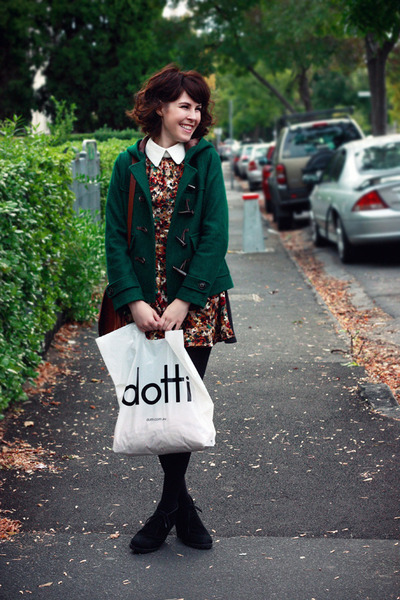 Another beautiful outfit post, this time from Le Blog de Sushi. I love the green of this jacket. 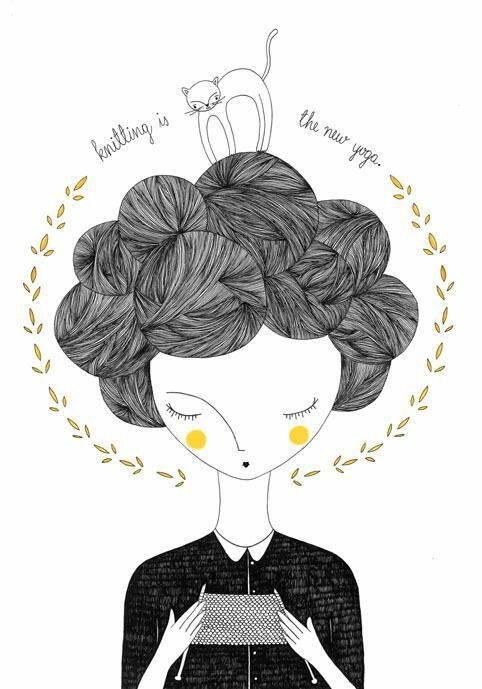 This illustration Knitting is the New Yoga is absolutely beautiful, I love the little yellow touches. I used to collect paper dolls as a child and I absolutely adore these Mad Men ones, I think Joan is my favourite though. 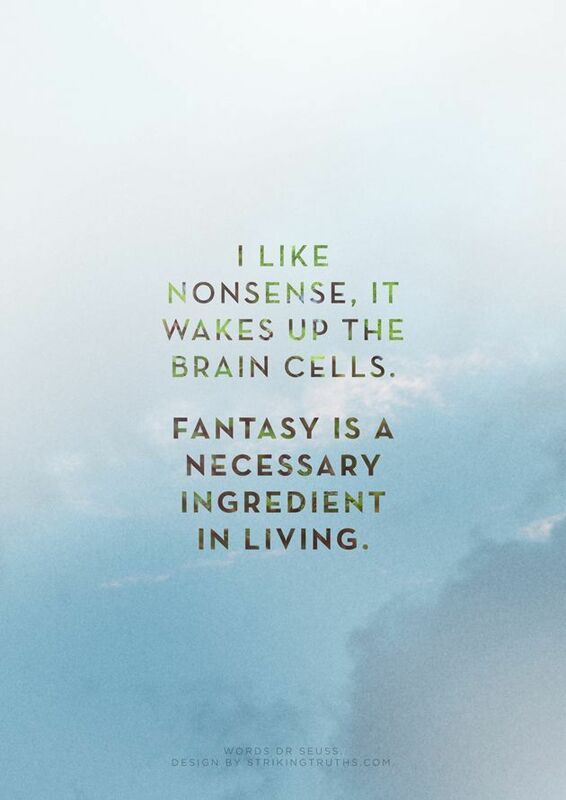 These Dr Seuss quote from Striking Truths is so true! 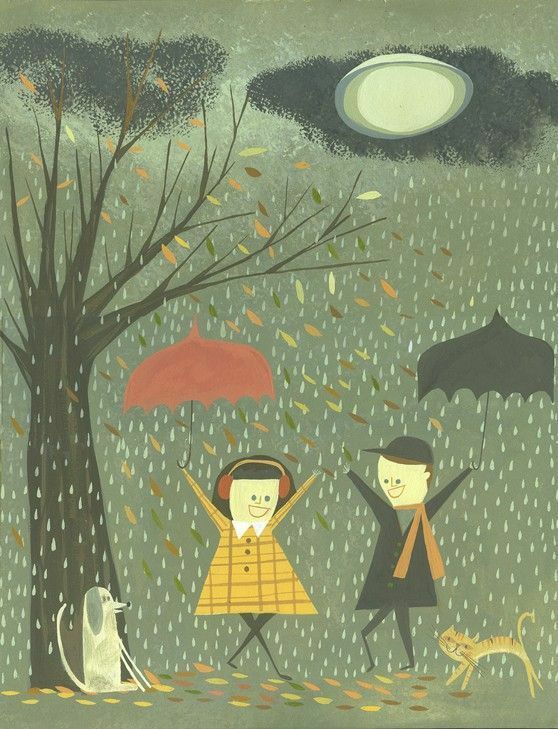 This illustration by Matte Stephens is absolutely perfect for Autumn in the UK. It even makes rain look fun. 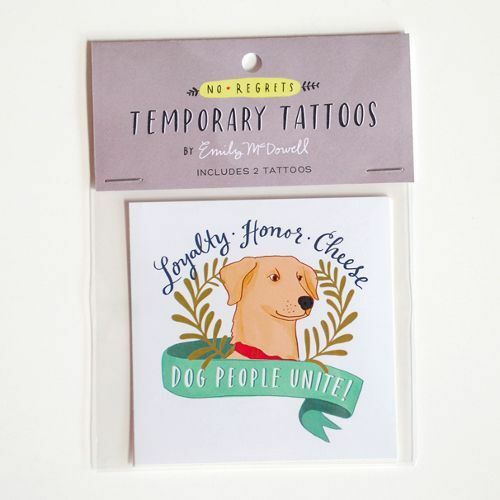 I'm too indecisive for a real tattoo but I'm pretty tempted by this temporary one by Emily McDowell. Mainly because Scallywag is such a cheese fiend. 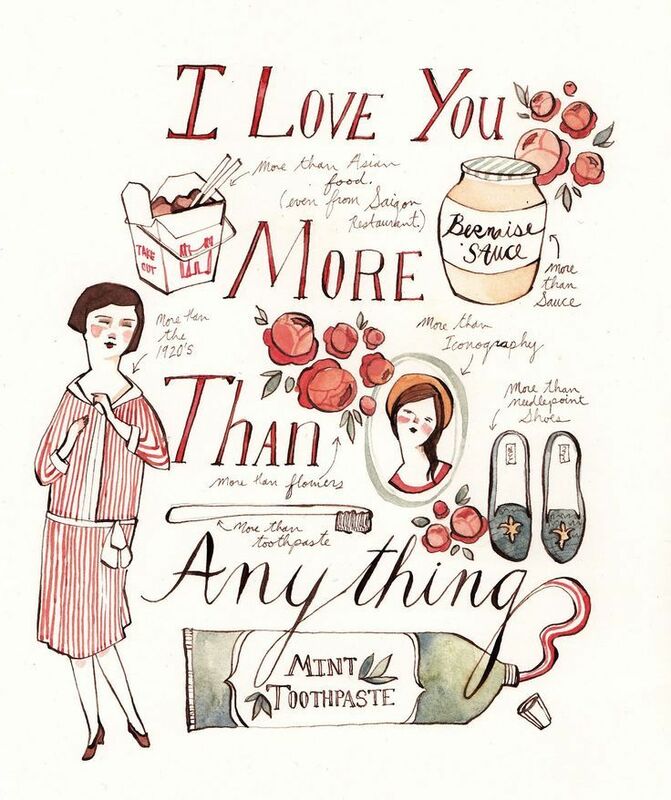 This Valentines card by Kelsey Garrity for her partner is amazing. such a sweet and personal idea. Last outfit inspiration for this post, I love the mix of textures in this one from Ballerina Bird. Those velvet boots are fantastic! 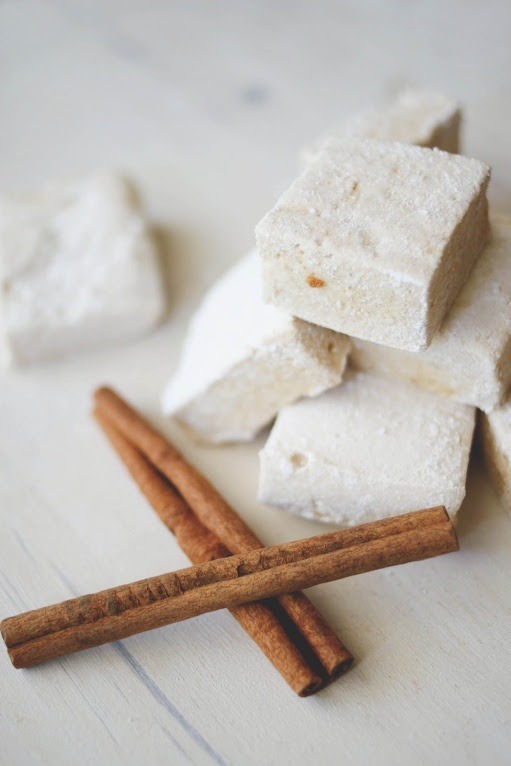 I keep saying I am going to make marshmallows, and never get round to it. Maybe I will finally do it with these Pumpkin Pie ones. 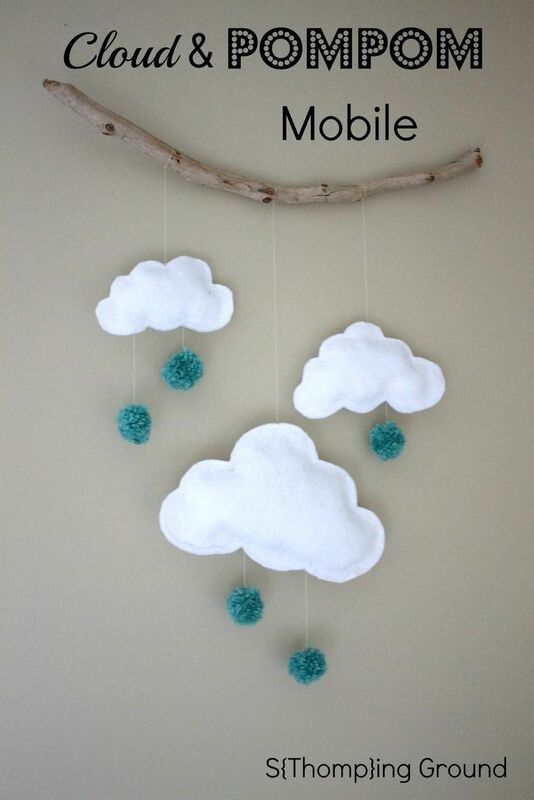 Would it be totally weird if I made this Cloud Pom Pom Mobile for my own room? 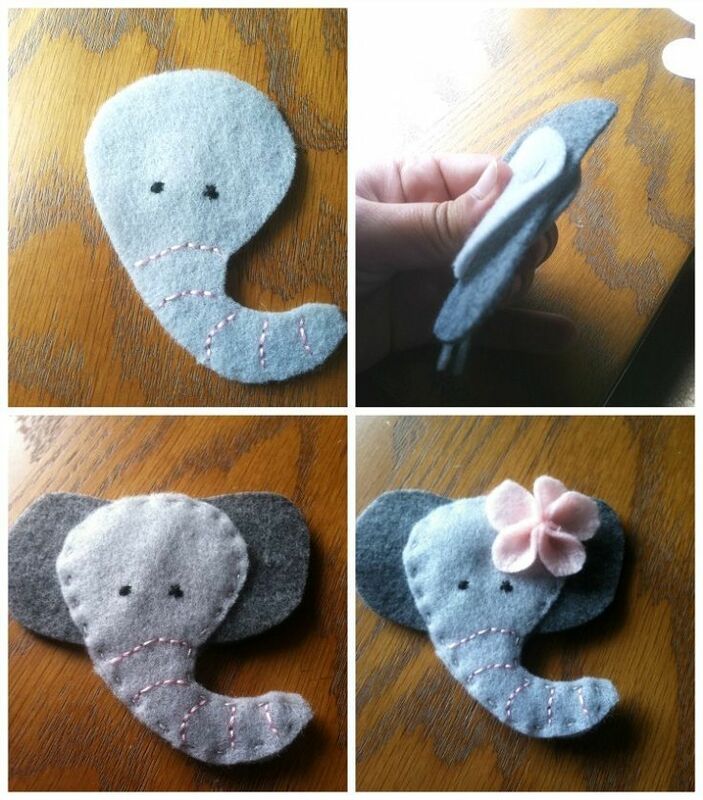 It's just so cute. 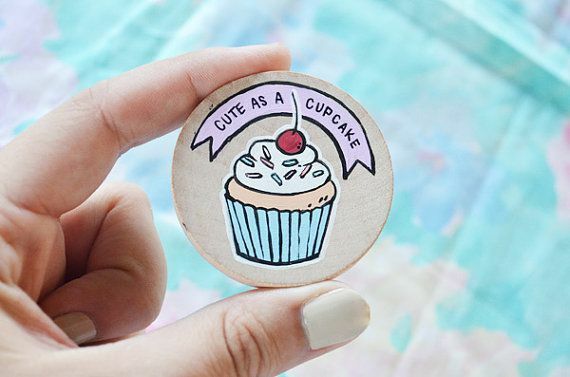 I love this adorable Cute as a Cupcake brooch from Michelle at Creature Type. I'm kind of gutted I didn't get in there before it sold. And how about this What Ever the Weather set from Rock Cakes? Amazing, right? 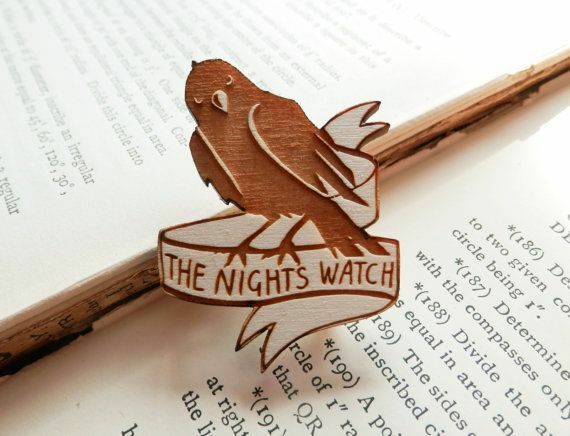 And one last one, I'm pretty sure I have shared some of Kate's Little Store brooches before but I'm totally stuck on her Game of Thrones ones at the moment, especially this Night's Watch one. Tips For Blogging With A Full Time Job: Guys, blogging and working is seriously hard, even working part time keeping up to date and having a social life is proving difficult. 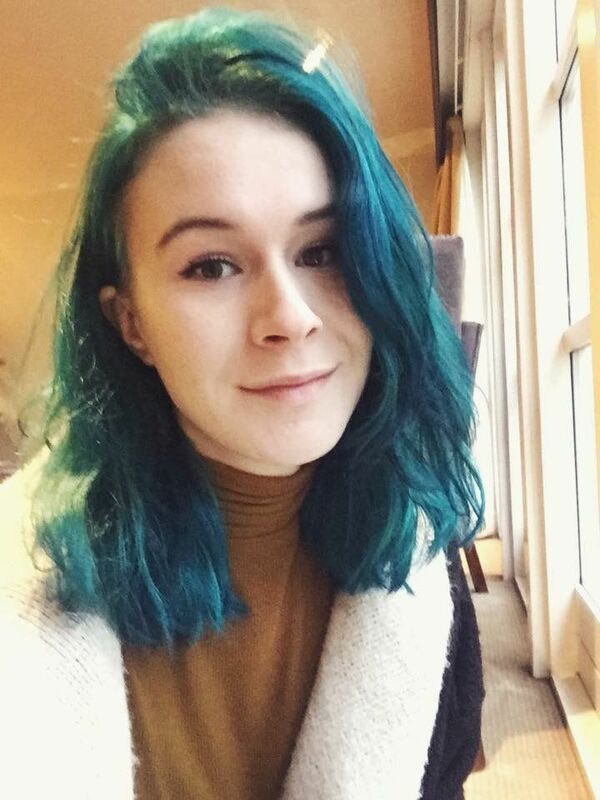 This post has given me loads of inspiration to re-jig my routine and find a way of fitting as much in as I can. How To Be Comfortable In Your Own Skin: Blogging has really helped me come to accept my face and body and see them in a new way, but every so often I still have those moments where I don't feel great about myself. I love Emma's post about being comfortable in my own skin, and it definitely came at a good time for me. Personal Style & Charity Shop Finds: This post from PeaSoup is a wonderful look at the difference between style and fashion. 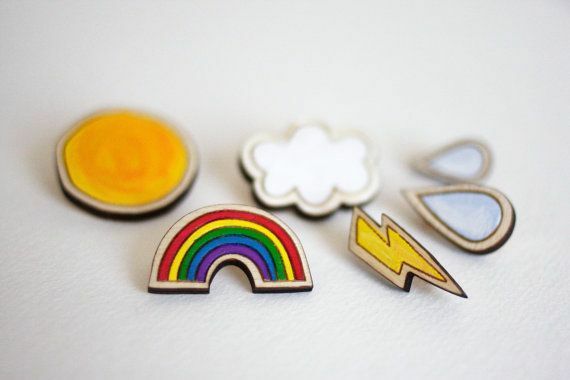 Choosing Your Perfect Blog Name: One of my good friends asked me just last week about starting a blog and all the little decisions and things you need to learn before you even start. One of the big ones was choosing a blog name. Next time someone asks I will just send them Allison's way. Work Happiness Secret - Track Your Efforts, Not Your Accomplishments: This is such a simple idea, but so wonderful. Has Blogging Made Me Conceited? I love this post from Lena about personal style blogging changing who you are and the difference between being confident and conceited. 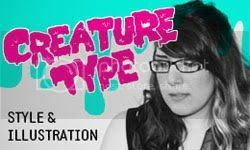 Emotastic: As a former goth kid I totally loved Becky's post looking back at her teenage evolution of style and an emo kid. How To Get Photos Accepted To Craftgawker More Often Another one from Allison, I love this practical advice for making your photos simpler but still visually appealing. You Searched For What? We've all come across those weird searches in our blog stats, but Melyssa's take the biscuit over mine. Some of these are absolutely hilarious. Ten Tips For Organising Your Workspace: Despite the fact we have lived in our current flat for over a year I still haven't got round to turning my desk into somewhere I can work. I've got some alone time this week so I might try and fit it in. The Myth Of The Effortlessly Perfect Girl (Or Models Don't Eat Cake For Breakfast): So true. Ten Vintage Shopping Mistakes To Avoid Shopping for vintage makes me seriously nervous, I hate spending money on something I'm not sure about the quality/exact size of. I spend ages checking and re-checking stuff before, generally, just putting it back on the rail. I've been burnt too many times. Using these tips might make it a little less daunting. It Hurts, But It's Ok: Zie talks about one of the negative sides of being a small business owner, receiving very public criticism. Dear People I Dine With, I'm Sorry I Kept Telling You About What I'm Not Eating: We all do it, in fact I can think of at least twice I have done it just in the last week. It's time to stop. How To Save Big & Shop Smart When Buying A New Camera My lovely Canon has been having some problems lately, ones that haven't been sorted after it got back from being 'fixed' so I might be needing to use these tips sooner than I was hoping. Baby Friendly Cafes In Edinburgh Part 1 (&; Part 2): Just what it says on the label, these posts from Franca are great advice for Mums living in or visiting Edinburgh. How I Quit My Day Job (The Great Escape): I love these kind of stories! I'm always so excited when bloggers are able to follow their dreams. I just know Shell is going to do amazingly as a freelance designer. You're A Comic Sans Criminal: It's been a long time since I have used Comic Sans for anything, but I totally loved this website. I've got a few people I know I am trying to get the guts to send it to. How To Make A Huge Step Towards Long Lost Dreams In 2 Weeks I love this idea to take some time out and focus on something you want to achieve. I've actually got a week off coming up in October and am brainstorming some ideas for a project I can do during that time. I Just Saw A Photo Of Myself So Bad That It Made Me Want To Change My Entire Life: We've all had that moment where we see a photo of ourselves and absolutely despise it. Maybe it is why I like blogging so much, I get to choose exactly what photos you guys see of me. My Embarrassing Picture Went Viral: It's bad enough when you see your own bad photo, but what happens if a photo you are happy with goes viral in all the wrong ways? Caitlin's post was both terrifying (as someone who posts a lot of photos of myself online) but also kind of wonderful. Her attitude is freaking amazing! Yes & Yes Freebie: I've been reading a lot of free e-books with my time away from blogging and I absolutely love Sarah's collection of free ones. I'm part way through The ABC's of Self Love at the moment. Your lists are seriously the best! I'm always entertained and informed. I love Ron's blog and all the other fall outfits here are lovely too. And thank you so much for including my zine! This collection of links is fantastic. I can't even pick a favorite, everything is so awesome! oh wow, so many great things to read! Umm that outfit from Amanda is seriously the cutest thing ever. Off to check out her blog now! I am so glad your Monday List is back, I've missed them. So glad you are back, I have missed your amazing lists! thanks for linking to me! Love the yoga/knitting print! I love Laura's boots and dress! Those bandaids are adorable :) But because the bandages are so cute, I don't think I would want to use them!